The Ford Model T started rolling off the assembly line in 1908. If you had purchased one, you would have found yourself sharing the right-of-way with Stanley steam cars, battery-powered Baker coupes, horses and buggies, mule trains, ox carts, Indian motorcycles, bicycles and trolley cars. There was more than one way to get around and each one had unique advantages. The result, quite often, was sheer bedlam. Modern digital communications may appear to be in a similar state of disarray. Newer protocols like USB and Wi-Fi have not driven older protocols like RS-422/485 off the streets; they merely share the right of way. There are still some things that serial communications do so well – connecting the pumps at your corner gas station to the cash register is a good example – that the total number of serial-equipped devices deployed around the planet is actually continuing to grow. They will be out there on the road for a long, long time. Inconveniently, few computer manufacturers even bother to support the serial protocol anymore, as its IT and desktop functions have largely been replaced by USB and wireless. It is getting more difficult to find a new computer with a serial port. Tablets and smart phones are even worse. Some do not even have a USB port; they largely depend on wireless for their communication purposes. They are useful tools, but what do you do if you need to connect to older devices and protocols? Ethernet and serial communications started cooperating with one another when the Ethernet serial server came along. The serial server translated the serial data into TCP/IP formats that could be transmitted across a network. 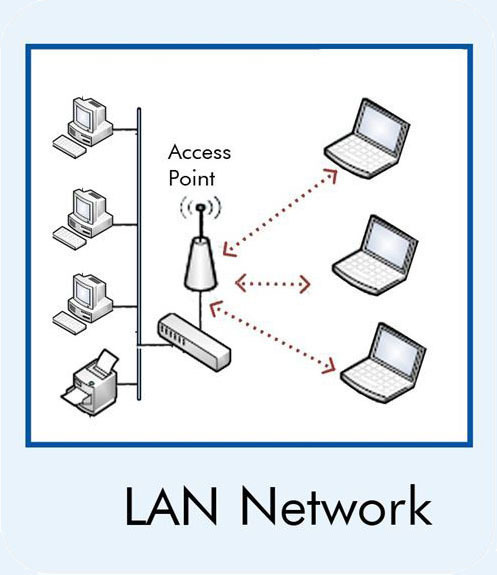 The serial devices could then be network-enabled and the device servers could use ordinary Ethernet cable to connect to a local area network (LAN). The next step was to go wireless. A wireless device server contains a Wi-Fi client, very much like the one in your laptop, usually 802.11b/g or 802.11b/g/n. The IP address/port number combination makes it possible to uniquely locate any serial port on the network. Here is a typical scenario: a serial device server has a physical serial port connected to port 8023 on the network interface. The network interface connects to the network and gets an IP address of 192.168.2.100. After adding the second piece of information, the full address of the serial port becomes 192.168.2.100:8023. Any networkconnected device capable of accessing that address can establish two-way communication with the serial port. So far, so good. What Happens When a Device Goes Off Road? A serial device server needs a network connection to do its job. But, some serial devices are placed in remote locations where they not only lack access to wired infrastructure, they are also outside the range of any potential wireless connection. Sometimes access is available, but it is restricted because of IT policy and security rules. The need to communicate with these devices still exists, but the connection is not there. Where there is no available network infrastructure, it is possible to set up an AdHoc network. A wireless device server can connect to either an infrastructure network or to an AdHoc network. An AdHoc network is a peer-to-peer based network that does not use a central resource (access point) to manage the network connections and structure. AdHoc networks can be established when just two clients are within range of each other. Groups of devices can also be connected, with each group being referred to as a “cell”. The AdHoc network uses the Internet Protocol (IP) suite for data communication between the devices. • You must use Static IP Addresses. A service called DHCP, which larger networks often use to provide IP addresses to connected devices, is not normally available on an AdHoc network. That means you will have to manually assign and distribute unique addresses to each device. • AdHoc creates a static subnet for the network and all devices on the AdHoc network. This restricts interaction between different networks. You will have to manually configure your IT (laptop) equipment when connecting and enter a static IP address. • AdHoc networks are not self healing. Even if you have multiple AdHoc networks within the same geographical location, and they are all using the same network name, devices in one network still cannot talk to devices in the other. 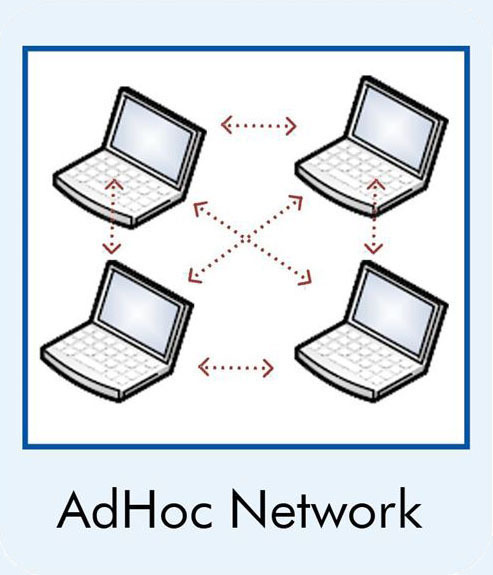 There is another problem with AdHoc networks, which is that the latest Android™ tablets and smart phones cannot connect to them without advanced modification. And certain iOS devices cannot connect to AdHoc networks that employ wireless SDS’s. So, How Do you Get Things Moving Again? Just as the Model T Ford eventually gave way to newer, sleeker vehicles, Wi-Fi keeps getting better and better. There is now Wi-Fi technology that supports embedded Access Point (AP) functionality without changing SDS functionality. For example, B+B SmartWorx has developed an embedded access point that creates a small, self-sustaining Wi-Fi network around remote equipment – wherever that equipment may be. It is quite like the hotspot in a coffee shop. Your technician can use that network hotspot to connect his Wi-Fi-enabled laptop, tablet or smart phone and acquire an IP address from the embedded AP. His portable device can then communicate with the AP’s serial port. This does not change the way the SDS devices are used, it just makes them easily accessible to tablets and phones. Embedded AP has numerous benefits. Tablets and smart phones can now access serial data. Network devices do not need to be reconfiguring to use static IP addresses. A self-maintaining network will not lose devices or compromise their access. Users can simultaneously add and access wireless and wired devices on the embedded hotspot. Networked serial device servers can be used just as they always have been. The Stanley Steamer was only sold for about two decades. Serial ports have already been around a lot longer than that, with no end in sight. Embedded wireless AP ensures that you will be able to keep yours running smoothly for as long as you need to.